A very popular tourist destination situated in the Alpes Maritimes region of the Provence in France is the picturesque village of Gourdon. 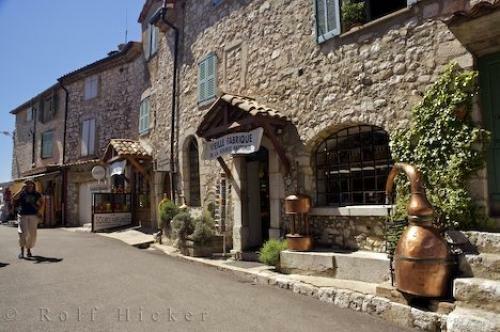 La Source Parfumee, Old Distillery and Candle-making Workshop in the Village of Gourdon at 760 metres in the Alpes Maritimes, Provence, France, Europe. of Gourdon in the Alpes Maritimes, Provence, France.